Ever wanted to test a FLYSURFER kite? Then come visit our Winter Demo Tour and simply fulfill your request! During the winter time you can test out our complete FLYSURFER kite line-up on several top spots worldwide! The first test opportunity you have is on the 24th-27th of January 2019 at the Snowkite-Testival Roccaraso in Italy followed by the Snowkite-Testivals KiteSchule Harz and Wasserkuppe on the 26th-27th of January 2019 in Germany. 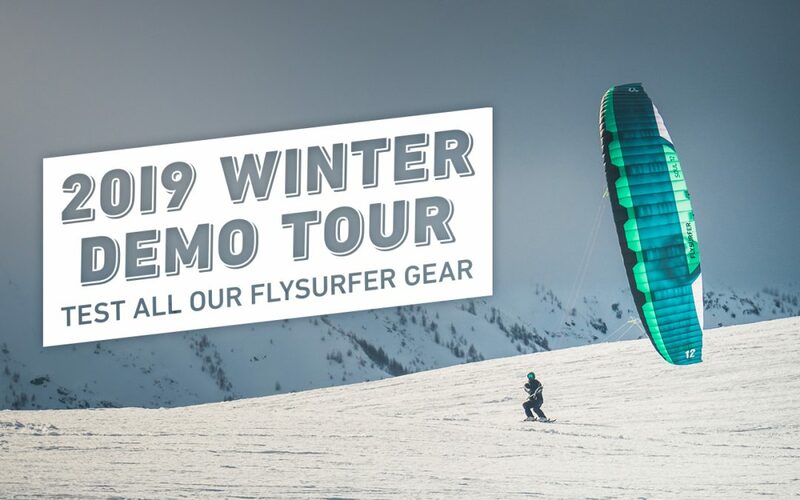 In our Event Calendar all FLYSURFER Demo Tour stops will be announced and you will find current information about these events. We look forward to seeing you!